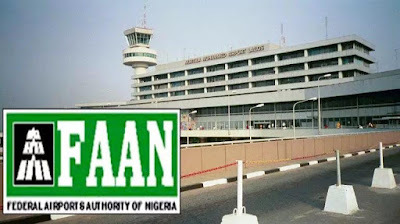 The Federal Airports Authority of Nigeria says checking of travellers luggage will no longer be done at the departure hall of the Murtala Muhammed International Airport, Lagos. Dunoma made this known after a meeting with all the participating agencies at the airport on Tuesday. “The Executive Order does not give room for pre-checks on luggage. All checks should be done in designated areas. Luggage should not be checked at the departure hall,” he said. “Concentration is on the Lagos airport because it is the key airport due to its size, complexity and passenger traffic. If we get it right in Lagos, we will get it right in other airports. Once we do that, I believe all the other airports will be easy for us.” Dunoma stated that the participating agencies, including the Nigeria Police, Department of State Security, Quarantine Services, National Drug Law Enforcement Agency, Nigeria Immigration Services, Nigeria Customs Services and FAAN Aviation Security, among others, would implement the directive successfully. “All participating agencies are ready to key into this big committee set up for the implementation. Everybody is contributing positively. From all indications, all hands are on deck to make sure the Executive Order is implemented successfully.